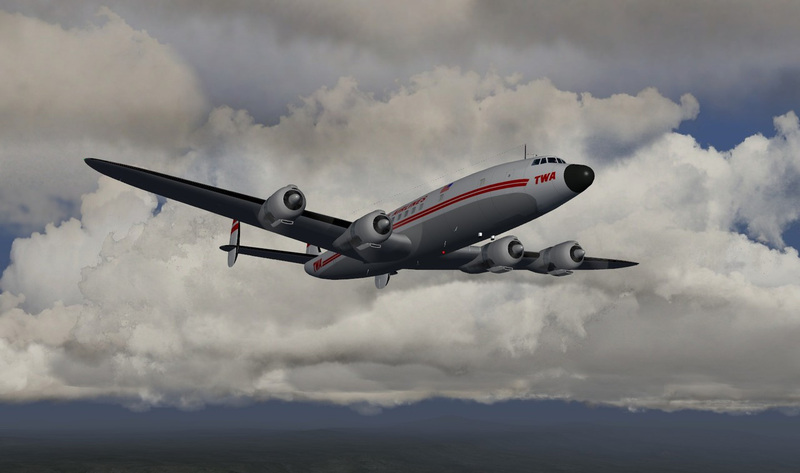 Flight simulator games can be and usually are very frustrating to begin with. There is no shame in admitting that and I don’t think it takes anything away from the genre by declaring that to be true for most newcomers. The controls can be really daunting (especially on the better simulators that boast accurately recreated cockpits) and the overall flying experience takes some getting used to. I can’t stress enough, however, that these are the things that make a flight simulator game so enjoyable to begin with! Sure, it can get under your skin when things do go to plan straight away but by sticking with it and polishing your skills; you become a much better virtual pilot as a result. Make FULL USE of the in-game tutorials! I often stare back in amazement at these kinds of statements. “Of course you can’t master it in 45 minutes you goof,” I think to myself! Developers of flight simulator games go to extreme lengths to make tutorials incredibly detailed. It wasn’t too long ago that these guides were printed in the cover jacket or online only but now, each individual aircraft has its own guided tutorial that holds your hand (if you want) and guides you through the process of turning from a novice into an expert pilot for that specific aircraft. If you’ve played a flight simulator game and haven’t dedicated a good, solid few hours (at the very least) to polishing your skills via the in-game tutorials then you’re doing yourself an enormous disservice! Go back and take the time to learn the skills you’ll need to help you get the most out of these games. If you’re yet to play a flight simulator but are hoping to have the best flight simulator experience then follow my MAJOR TIP from day #1 and get stuck into the awesome tutorials; they’ll make the world of difference! P.S. Learn more about how in-game tutorials and how they aid your flying experience via my links/resources page now! We all know the benefits of playing flight simulator games when it comes to entertainment value. They offer an almost-unmatched amount of playable hours per dollar spent ratio (only Skyrim comes to mind as a possible contender,) and they’re also brilliant in terms of staving off boredom but I’ve always believed that playing a flight sim on a regular basis can actually help you in other aspects of your life too. Video games and simulators aren’t commonly associated with people being social but I am of the belief that flight simulator fans, by playing hours and hours of these sims, are actually aiding their social skills and interpersonal skills. It might sound a little crazy to begin with but when you take a step back and analyse what a flight simulator actually demands of you as a virtual pilot then it all becomes a little clearer. •	When you’re playing online with other pilots you’re constantly communicating vital statistics and information regarding the aircraft you’re flying as well as details about flight paths and more. Compare this to players who only plays Call of Duty online who constantly berates and yells at their team mates and opponents and who do you think is training in the better interpersonal skills? •	I’ve mentioned it previously but no game I know of teaches patience better than a flight simulator. From the moment someone types ‘what is the best flight simulator for pc’ into Google to the moment they touch down on their virgin voyage they would have likely learned much more about patience, taking your time and paying attention to detail than any other gamer out there. That goes for office works and the like too – I genuinely believe that if you’re able to sit down and master a flight simulator then you’re capable of controlling frustration and temper tantrums better than the average person on the street. I’m not going to go as far as to say that playing flight simulator games is like a form of meditation but when you really think about it for a moment, is it actually that far off? P.S. Want to learn more about delving into the world of the best flight simualtor? Read my links/resources page right now! When people play a flight simulator for the first time (ever or even just after a long break from the genre,) more often they not they come in with a head full of steam, extremely eager to fly as much planes as they can, as soon as possible. Having heard that so many times recently, I wanted to just take a minute to write a blog post, directed at the readers out there who perhaps haven’t tried a flight simulator yet, that will ideally help them get the most out of their PC flight simulator experiences. It comes down to three words, really: take it slow. Seriously, it’s incredibly tempting when you start up your new flight simulator game to think about jumping into the cockpit of as many aircraft as you can. I’ve found that the best approach, however, is to just keep your cool and take your time. Pick a plane and dedicate yourself to learning how to fly that one particular plane perfectly. Put in the patience and work required and by the time you’ve mastered everything involved between taking off at Point A and landing at Point B, you’ll have developed an appreciation for the nuances of the genre that most fly-by-night virtual pilots miss out on. Once you’ve mastered one plane, then you should go out and experiment with the feel of some more. Most of the best flight simulator games now offer 200+ aircraft to choose from so there is no way that you’re going to run out of options any time soon. You’ll appreciate climbing into your second, third and forth aircraft much, much more if you take the time early one to get the basics down. I know it might sound painfully simple but you’ve honestly be taken aback by how many people don’t do this. They whiz in, jump in 20 planes, get annoying when they can’t master them all in 15 minutes and then go back to their mindless shooter games. It’s a tragedy because they’re missing out on so much. Here’s hoping that this post inspires a newcomer to the genre to just slow down a bit and savour the experience. The best way to get the most out of your pc flight simulator is to ensure you take the time to enjoy the little things because, after all, that’s what the simulation genre is all about. The great thing about video games is that there is never a shortage of variety to choose from when you’re looking to sink your teeth into something new. Every video game enthusiast has his or her own take on what they consider to be the best type of game available. I’ve taken the time to create a site solely dedicated to 3D Flight Simulator games and you’ve searched online and found your way to this page so obviously, we both fall into the category of video game players who appreciate the finer details of the flight simulator. Time and time again I’ve gone back and forth with friends and colleagues about why a flight simulator is the greatest genre of game you can play but today, I thought I’d make things a little more fun and give you some insight into how our favourite game stacks up against the stiffest of video game rivals; Mario! •	No Performance Enhancing Substances Required – When you climb into the cockpit of the best flight simulator only thing that you can call upon to get you from taking off to landing safely are your own skills, reflexes and levels of concentration. The world’s most beloved plumber struggles to even go five minutes without munching on ‘shrooms in order to obtain special abilities to help him progress forward. It can’t be long now before Mario’s interviewed by Oprah. •	No Time Limit – On a more serious note, I’ve never been a fan of any game – simulator or otherwise – that forces you to tear through an experience in order to beat a time limit. The beauty of a flight simulator shines through in the high level of details it provides. Magnificent machines and picturesque skylines are all a part of the flight sim experience – being able to take soak in the sights while you’re flying, time limits aside, is what makes the genre so popular. So there are just two little teasers that you can trot out to your buddies or colleagues next time they ask you why you love flight simulator games so much. If the genre is good enough to stand up to one of the most recognizable video game characters of all time then surely they’ll have to respect that our favourite sim has more merit than they may have given it credit for! Thanks always for reading, guys. If you want to point your friends in the direction of where to read more about 3D Flight Simulator games, you know where to direct them!